This is a real statement piece. It was inspired by the jewellery of South Asia with its opulent use of silver and gold combined with gemstones. 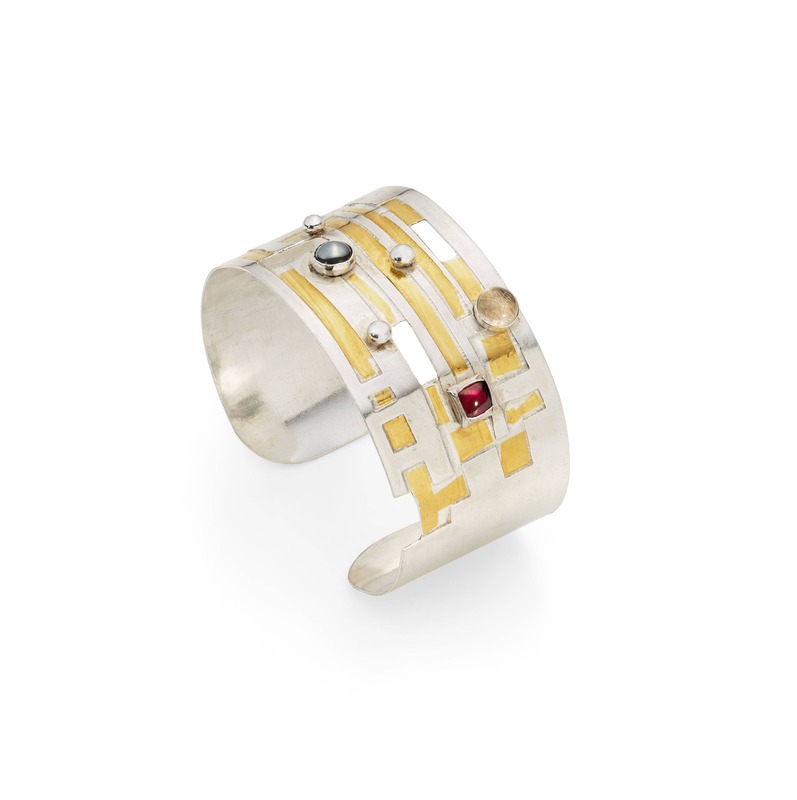 The cuff is made of 0.5 mm sterling silver and is 30 mm wide. It has a geometric etched pattern with 24 carat gold foil detail. This is applied using Keum Boo, an ancient Korean gilding technique combining heat and pressure. Pierced areas also add interest. 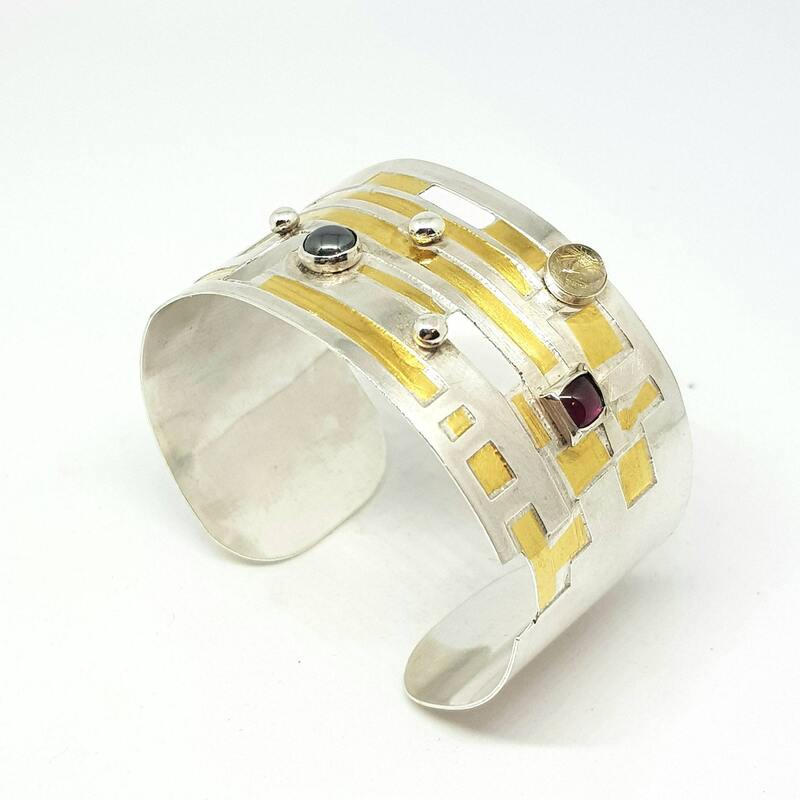 The cuff is decorated with tiny silver and gold balls and round and square gemstones. I normally use garnet, moonstone and rutilated quartz. 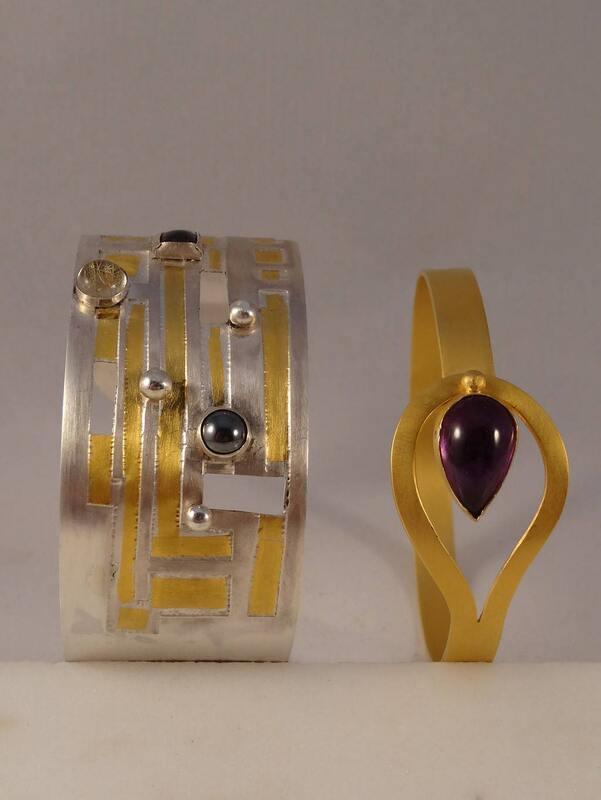 The cuff has a brushed, satin finish.